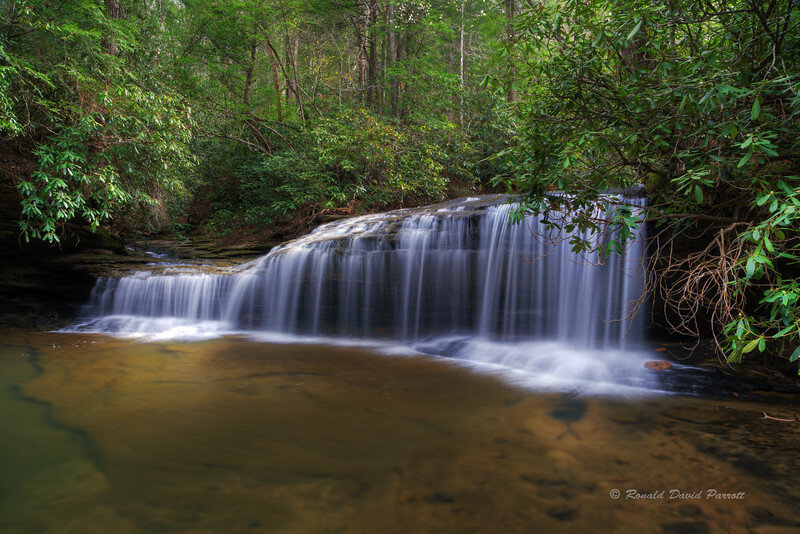 This is the third of three perspectives at Big Dog Branch Falls. A small portion of Little Dog Branch can be seen flowing to the shorter part of the waterfall on the left. Big Dog Branch flows to the taller part of the waterfall on the right.